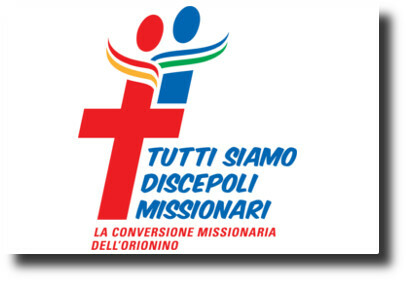 I wish to convey our mission project developed in the Ariccia missionary conference (20-23 November 2011), which was attended by the provincial superiors and representatives of the missions of the Congregation. It is a project to be implemented in its lines and concrete decisions, but also and above all in the spirit of evangelizing enterprise which must animate the entire Congregation, both in the ad gentes borderline and in the frontier of the secularized world. To do this, "we must ask God not a spark of charity, but a furnace of charity to inflame us and renew the cold and icy world. We will not fire souls with life, fire and light of charity, if beforehand we are not lit up, and very much lit up, by this very fire "(Don Orione). The 13 th General Chapter gave as the codeword of "shared responsibility" in the new missionary development of the Congregation (CG13 143-144), and asked us to be "all missionaries" with different forms and in different places. As you can see, there are choices and activities that relate to the individual missions, others concerning the government and missionary animation in the Provinces and others still are assigned to the entire Orionine family. Let's read it carefully and then each one should bring their own spark of love and zeal for "giving Christ to souls and souls to Christ." With particular emphasis we have asked that in each Province there should be the secretariat for the promotion of missionary activities. If the missionary fervour diminishes, the whole apostolate gets cold. Let us ask Mary, who has entrusted to Don Orione "youths and people of many different colours, whose number was marvellously growing ... and who were under her blue mantle” to renew also in us the joy and the passion for missions. Strengthen the community life of the missionaries to avoid loneliness and to give joyful witness of our consecration. Arrange in the single missions times of reflection and exchange of experience on the inculturation of the Orionine charism. Give value to the general missionary project and to the specific one of each Province in order to avoid improvisation and subjectivism. Take care to listen to and involve the local laity in planning activities of evangelization and the charitable works of the mission. Notre Dame d'Afrique: plan to make it a Province. The Grand Apelè project of a Little Cottolengo, together with the PSMC. Lomé, the opening of a new community. Ouagadougou, a parish near the students' residence. Diebougou, evaluate the offer of land and pastoral and educational activity. Cultivation of land for economic support in the Ivory Coast and Burkina Faso. More religious to help in Mozambique. More religious to help the "Mother of Divine Providence" Province. Kenya: the establishment of the third community, expanding the seminary in Nairobi, the development of another small centre for disabled people. Madagascar: strengthening promotion of vocations and vocational formation; new centre for the disabled at Antsofinondry, a new dispensary in Miandrarivo; novitiate in Madagascar, a new community in another place, greater unity in the district. Mozambique: strengthening promotion and vocational formation, with some stages in the Ivory Coast, building the seminary, strengthening the Centre for the disabled. Mexico: implement discernment and orientation of the future. Paraguay: opening of another missionary community; greater unity in the district. Venezuela: allocate a promoter of vocations and strengthen the communities. Philippines: extension of the seminary, strengthening of the third community in Lucena. Jordan: to increase promotion of vocations, apostolate in families, small and charitable activities. India: strengthening the reception of vocations with another community, start some charitable activities. Albania: we should reinforce the presence of religious. Belarus: to strengthen Lahisyn and withdraw people living on their own. Romania: progress in financial self-sufficiency, greater unity in the district. Ukraine: introduction of two confreres for vocation promotion and formation. Brazil-Rondonia: the opening of a community "near" to Buritis, in Porto Velho. To organize an Orionine a synod for Africa and Madagascar (cf. 13 th GC, 143). Looking at Asia by creating a "project for Asia" which foresees new contacts with other countries, especially China (cf. 13 th GC, 143). Take care of the preparation and the theoretical and practical training ad hoc of lay people, in dialogue with the mission of destination, based on a Handbook . Enhance their witness when they return. Put in practice the missionary animation in the province by promoting the knowledge and contacts with the missions. In the coming years we should study the missions to be consolidated, to open and to close according to the criterion of ability to develop the charism, the local vocations, financial autonomy, also taking into account the time spent. To offer missionary experiences to students and newly ordained priests. Encourage the missionary experiences of young people. Make an interchange of religious between the Provinces. Treasure the home visits of the missionaries by getting them to meet the communities, and particularly those of formation, in order to promote missionary vocations. Establish and define the tasks of the Mission Secretariat according to the particular features of each Province. It should work in the animation of the Province in collaboration with other secretariats and especially in promoting vocations and formation; it should maintain a direct link with some of the missions and missionaries, establishing its own schedule of action. Particular event to be valued, in the six years term of office is the Orionine Missionary Year (20/10/2013 - 08/12/2014). Prepare a Handbook for departing religious missionaries on the charism and on the dynamics of evangelization. In order to deal with developments and difficulties of the Congregation, the general direction, together with all provincial directions, should make decisions binding on the whole Congregation. Strengthening of the central system for the acquisition of funding, the foundation of provincial and local centres (ENRis); a central and provincial office of coordination between FDP and PSMC. Orionine Mission Day: the General Councils should define the theme and the coordination of the General Secretariats should prepare some essential material: each Province organizes the day and initiatives. Given the desire to work in communion at all levels, the FDP and the PSMC reaffirm the need for increased collaboration, planning and evaluation of missions where we are already together. When a Congregation is planning a new missionary community, it will immediately inform the other and welcome advice, assistance and possible collaboration. Make the most of volunteers by having them relate their missionary experiences during the events of the Orionine Family to help raise awareness and help for the missions. At a general and provincial level, there should be a coordination of the Secretariats for the Missions of the FDP and the PSMC in view of joint initiatives, charismatic training, preparation of lay volunteers, collaboration between associations and others. In general, to develop guidelines that define the specific introduction of the lay person in the mission of destination. 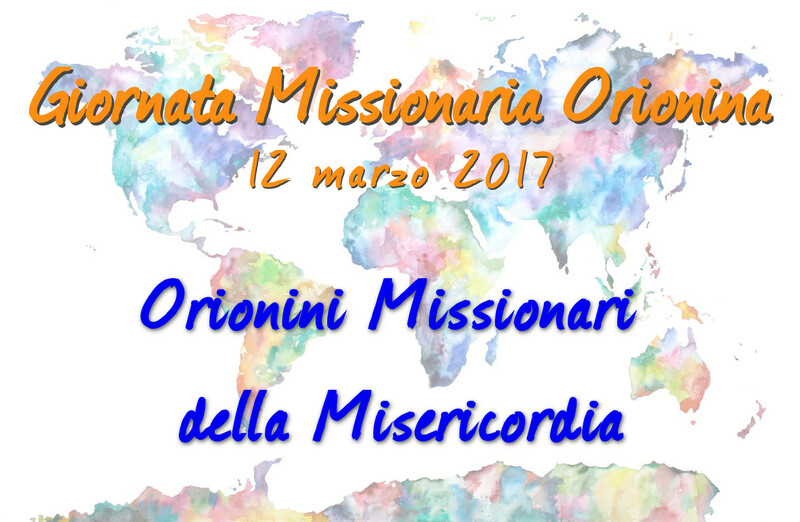 Increase and coordinate the missionary communication within the Orionine Family: websites, documentaries, films, special inserts, etc..
To express the spiritual closeness of all the Don Orione confreres, sisters and lay people to the missionary communities we should organise a day of prayer and fasting in preparation for the Orionine Mission Day. Ensure the proper dissemination of the conclusions of this missionary conference. The General Superiors to launch a missionary proposal to lay people.